Sustain Hawaii – Walk Story for a Healthy Economy! Tools & Projects to help create some Better Rules. Certain rules are supposed to change with the times… some lag longer than others. We think the lag can be a real drag & offer these projects & tools to help educate, advocate & innovate toward a healthier future. To improve the health of our local food system, we need to understand the interdependencies within the food supply chain and the resources & policies that influence them. A high-tech, high-touch approach to hands-on learning that uses TV, web tools, activity books & more to help educate our keiki & community about sustainability. A powerfully fun set of new advocacy tools that shine a light on the political process & provide great ways for you to take informed action! Sustain Hawaii has partnered with Amber8 to help it become a sustainability-oriented, experiential learning center & innovation incubator. Sustain Hawaii & Palaka Moon Farm have partnered with ‘Ai Love Nalo to improve the sustainability in the food supply chain from soil to sale. The healthies platform is a comprehensive, quantifiable, nutrient tracking system that extrinsically & intrinsically incentivizes healthier food consumption. For all to prosper, we must have equitable access & ability to satisfy our most basic needs of health & security. 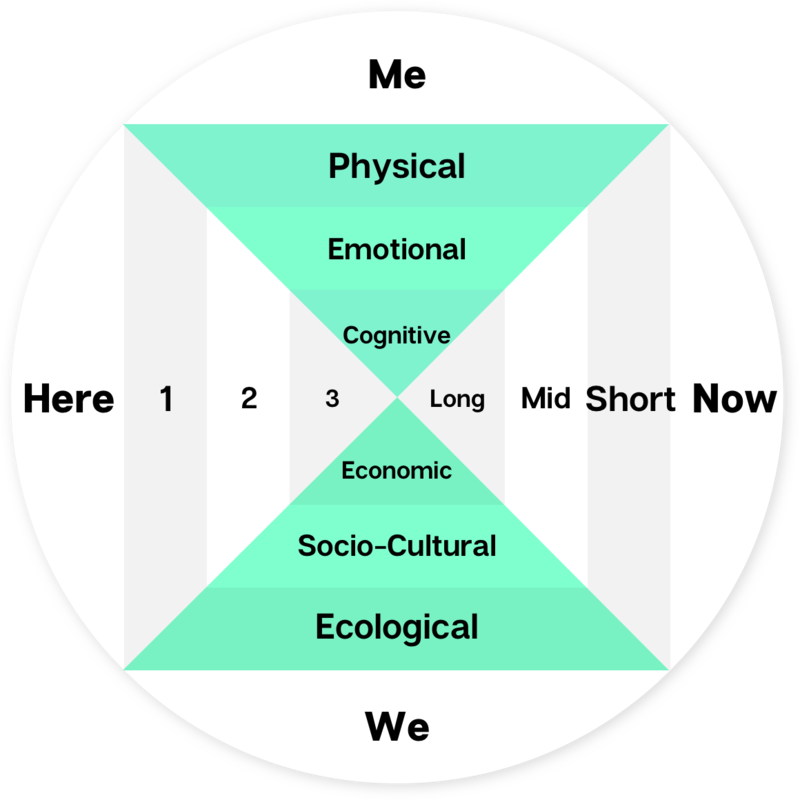 Understanding our intricate interdependencies deepens proportionately with enhanced physical, emotional, cognitive & spiritual need-satisfaction within our ecological, socio-cultural and economic systems, enabling us to progressively act more efficaciously in the best interests of all. To help create an enduring, healthy economy that ensures better quality of life for all in a just, equitable manner and within the limits of supporting ecosystems. We’re dedicated to helping transform our islands’ capacity for enduring self-reliance by balancing ecological, socio-cultural and economic needs through community education, innovative practice and advocacy. Modeling a nimble network, Sustain Hawaii is intentionally lean and flexible. It has a small board of strategically-positioned directors, no fixed payroll, and limited office infrastructure, finding great efficiencies in virtual operations that can quickly mobilize the right people (e.g., partners, contractors, volunteers) at the opportune time. This networked model of organization does not include any personnel or fringes. The bulk of the expenses are associated with contractual services for project deliverables. In practical terms, this means that Project Team members and others will be contracted for specific deliverables appropriate to their experience and expertise. 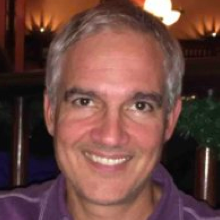 Kevin is a social entrepreneur with many years of experience in the communication industry, systems consulting, new business development and strategic planning. With a heavy scientific background (where he studied astrophysics at the University of Iowa) along with peace studies in conflict resolution (at UH-Mānoa), he has developed an empirical-based framework that integrates 21st century science and technology with cooperative practices that are designed to address economic, socio-cultural and ecological issues. 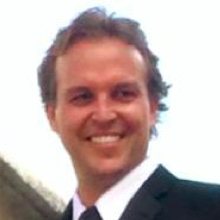 Presently, the owner of a web-development and technology firm, Kevin creates sustainability-oriented solutions that streamline business operations for long-term success. Successful internet entrepreneur, full-stack developer, product expert, and UX designer with 24 years professional coding experience. I have a solid understanding of business and marketing and can communicate at multiple levels with management, end-users, and developers to ensure effective product development. Charles mostly enjoys the incubation phase of new product development: Systems Analysis, Information Architecture, and UX Design. Having worked at several startups in Silicon Valley since 1994, Charles can recognize development and management anti-patterns within a company and help correct them before it's too late. Our highly experienced Board of Directors come with many wide-ranging skills and resources. With a board of 60% Native Hawaiian ancestry, we hold steadfast to our 21st Century Ahupuaʻa principles and maxims. Dr. Smith graduated from Kamehameha Schools and went on to receive a BA and Masters in corporate communication; a professional certificate in organizational change management and strategic planning; and a doctorate degree in education from the University of Southern California in Los Angeles where she graduated with distinction. Currently, she is the owner/president of Sustainable Ideation, LLC, which has been contracted to provide sustainability solutions, research and reports for groups like the Office of Hawaiian Affairs and the Hawai`i Department of Agriculture. She also owns and operates a vegan restaurant called, ʻAi Love Nalo in Waimanalo. 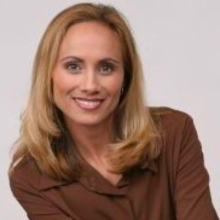 Professionally, she has an extensive background in management, marketing, strategic planning, media/public relations, organizational change and leadership development and has provided services to various organizations, schools, political congressional candidates and governmental agencies. Ramsay is the founder and president of the Life Enhancement Institute (LEI) of the Pacific, LLC. He is a graduate of the Kamehameha Schools, attended the United States Air Force Academy at Colorado Springs and earned a Bachelor of Science degree in Public Administration from the University of Southern California. Ramsay’s eclectic background and experience in business, government and community service makes him a valuable asset in both public and private sectors and has been instrumental in assisting for-profit and non-profit businesses. A recognized cultural resource, Ramsay is sought after as a keynote speaker, lecturer, trainer and facilitator. 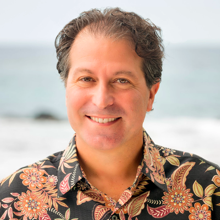 He is especially effective working with Hawai‘i’s travel, leisure and retail industry where he integrates Native Hawaiian cultural values and principles into contemporary business. As a cultural practitioner he leads Hoʻoponopono courses and is a well-respected lua expert and kumu (Hawaiian martial artist). With an extensive background in social services, education, environment, economics and planning, Michael has maintained a lifelong commitment to personal and global sustainability. Michael is a partner in the Natural Investment firm, and has maintained the distinguished Accredited Investment Fiduciary® designation, which reflects the highest professional standard of investment management in the nation. He is known within the SRI community as a proponent of higher standards for the SRI industry, he maintains the firm’s NI Social Rating of sustainable and responsible mutual funds, and he coordinates the firm’s shareholder activism initiatives. Michael is a member of the Advocacy and Public Policy Committee of the US SIF: The Forum for Sustainable and Responsible Investing and serves on the steering committee of the American Sustainable Business Council, engaging corporate management and elected officials and federal agencies in adopting important practices, policies, laws, and regulations. Dr. Taualiʻi received her PhD in Health Services, with an emphasis in Public Health Informatics and Public Health Genetics from the University of Washington, where she also completed her Master's degree in Public Health. 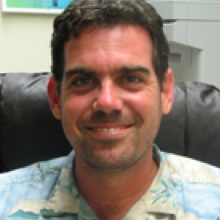 A primary research focus for Dr. Taualiʻi is the utility and validity of health information for racial minorities. Her current research is related to perceptions of bio-banking for research among Native Hawaiians. 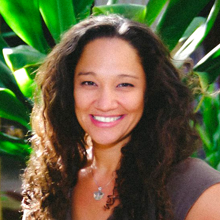 Dr. Taualiʻi is an Assistant Professor and Chair of Native Hawaiian and Indigenous Health at the University of Hawai‘i, Mānoa where she brings cultural, ethical, and community-oriented perspectives to the instruction of public health. With ʻĀina as his motherʻs maiden name, Mannyʻs geneology has rooted him to the islands giving him the profound kuleana to care for our land. Growing up in Nanakuli in the 1940s taught Manny the true meaning of sustainability. He and his family built their own home, and together created natural sustainability systems (which we now call aquaponics, grey water systems, and organic farming). Without running water on their homestead property, he grew up respecting this valuable resource and learned how to nurture the symbiotic relationship between ʻāina (his direct genealogical ancestors), wai and kanaka. He was taught by his Hawaiian parents how to strategically organize a farm to ensure highest yield. Professionally, Manny worked 35-years as a master driller and crane operator for Ameron before retiring. Currently, he lives in Kailua where he still practices a sustainable lifestyle using catchment systems, does composting, uses low flow showerheads, dual flush toilets, grows ulu, mango, avocado, kuawa, noni (drinks it every day), aloe, naupaka kahakai, and many more. Dr. Radovich research program is focused on understanding how crop yield and quality can be optimized in agricultural systems that reduce reliance on conventional chemical inputs and increase use of ecological farming practices. 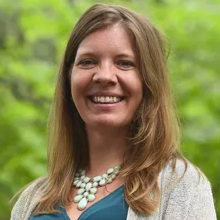 Jackie was recently named the City Chief Sustainability Officer of Fort Collins, CO where she oversees their sustainability services, which includes the departments of economic health, social sustainability and environmental services. Before moving to Colorado, she lived in Hawai’i for over a decade and served as Governor Neil Abercrombieʻs first State Sustainability Coordinator. She was an active advisor to Gov. Abercrombie during his membership of President Obamaʻs State, Local, and Tribal Leaders Task Force on Climate Preparedness and Resilience. Jackie has a masterʻs degree in urban and regional planning from the University of Hawaiʻi, Mānoa, and a bachelorʻs degree in applied art and sciences from Rochester Institute of Technology in New York. Dan is one of the most respected and well-known farmers in Hawaiʻi. He is an expert in farm infrastructure design and maintenance and has over 25 years of experience in farming production, harvesting, processing planning, farm systems business planning, soil remediation solutions, and farm crew training and management. 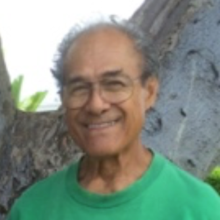 In his career, he was a farm manager for Maʻo Farms in Waiʻanae, Ulupono, and Pacific Biodiesel on the North Shore of Oʻahu. 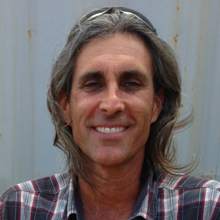 Dan also was a key player in the Hawaiʻi Military Biofuel Corp Project, and is currently working in Hana, Maui teaching farming practices to the community. 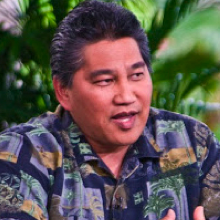 Kawika is a carpenter by trade, an ordained pastor of Ka ʻOhana o Ke Aloha, musician, songwriter, and a board member for the Kokua Hawaiʻi Foundation and Friends of Heʻeia State Park. Kawika and his group Kaukahi was honored with three awards at the Nā Hoku Hanohano Awards, including Slack Key Artist of the year, Group of the Year and song of the year. Kawika also received a Nā Hoku Hanohano award this year 2015, for Slack Key Album of the year. 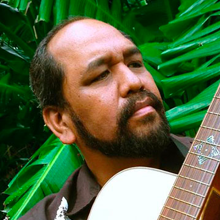 He is well-known in the islands for his masterful slack key styling, beautiful deep voice and giving heart. Our theory of change is simple – help people learn their way to a better world. Since its inception in 2003, Sustain Hawai‘i has and continues to focus upon creating ways to help people experience more sustainable living. Marrying contemporary and indigenous, place-based technologies and knowledge, Sustain Hawai‘i is prototyping and piloting strategies that expedite the transition to that life we want to lead. Sustain Hawai‘i has 12 years of experience in providing services that support sustainable resource management practices. A unique, multi-disciplinary team accustomed to working on systems-based projects is needed to achieve our goals for our 21st century ahupua‘a vision. Thus, we implore upon many partners to help us execute our projects. Collective success demands that each of the core sectors of society (government, business, education, non-profits and community) advance these issues through practical actions. We recognize that transforming our communities’ capacities requires a collaborative effort. It is also an evolutionary process that requires change within each of the core sectors and, perhaps more challengingly, coordinated change across those sectors. This knowledge heavily shapes our approach. It is why we first seek to educate about the need and possibility of island self-reliance. Then, we facilitate the identification of priorities, strategic actions and likely barriers to implementation. Finally, we support implementation of innovative solutions both within and across society’s sectors, emphasizing socio- ecopreneurship and supportive policies that can accelerate the spread of effective practices. We’re always looking to have good fun by exploring creative ways to help transform talk story into walk story. ©Sustain Hawaii. All Rights Reserved.